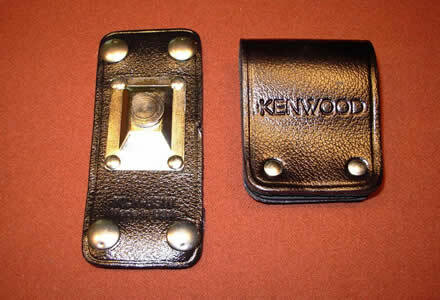 There are several accesories for the NX-411 that Kenwood manufactures. There are two antennas available from Kenwood that fit the NX-411 handheld, the stubby KRA-39 and longer KRA-38. The stubby KRA-39 antenna, has a female SMA connector at the base. The antenna has two grooves at the top of the antenna and three grooves at the base in the rubber molding and is 45mm long from tip to the base of the rubber antenna skirt (excluding the connector). There is no model number displayed on the base of the antenna like there is with the KRA-38. 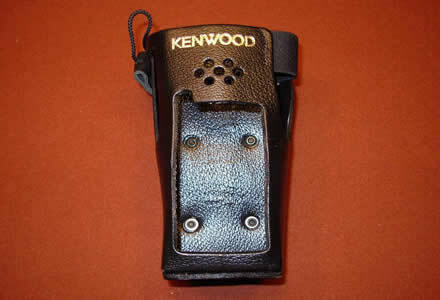 There are two antennas available from Kenwood that fit the NX-411 handheld, the KRA-38 and stubby KRA-39. The most common antenna, part number KRA-38K, has a female SMA connector at the base. The antenna has one groove at the base in the rubber molding and is 186mm long from tip to the base of the rubber antenna skirt (excluding the connector). The base of the antenna states the model of antenna as pictured below. The KSC-32 is a Quick Charger for the NX-411. This charger was intended to charge Li-Ion, NiMH, or NiCd Battery Packs. This charger will charge a variety of Kenwood battery packs such as the KNB-31A/32N/33L/41NC/43L/47L/48L/50NC. The VGS-1 allows voice memos, recording of any received audio (manual recording) and voice guide annunciation. This unit plugs into a compartment underneath the battery pack. Once you have installed the VGS-1 you must enable this feature in your radio by reading from the radio and writing back to it; be sure to assign "Playback" and "Voice Memo" buttons to the front panel of your radio. 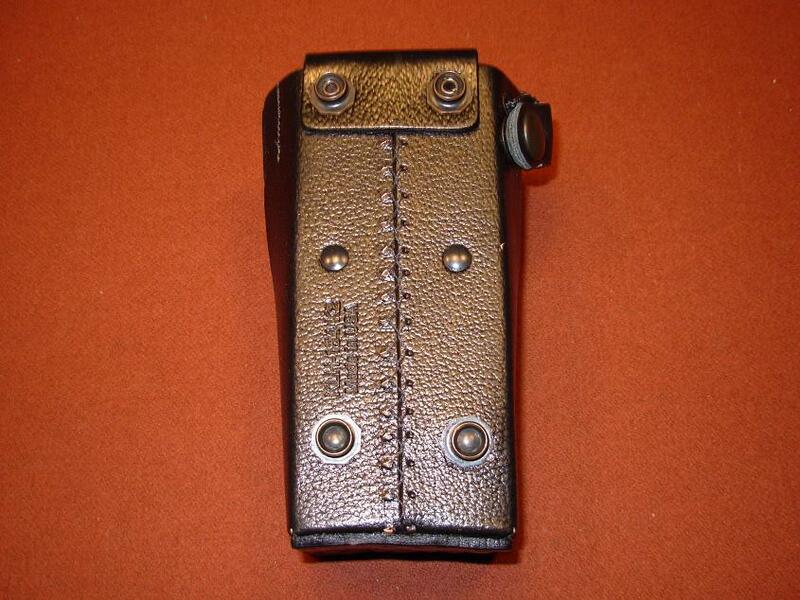 The KLH-154K2 is a heavy duty leather carrying case for the NX-411- protects the radio from damage. The KLH-154K2 is to be used with the KLH-6SW which is the detachable swivel belt loop. This accessory is made in the USA! The KLH-6SW is a detachable swivel belt loop that allows the KLH-154K2 heavy duty leather carrying case to clip on to the users belt. 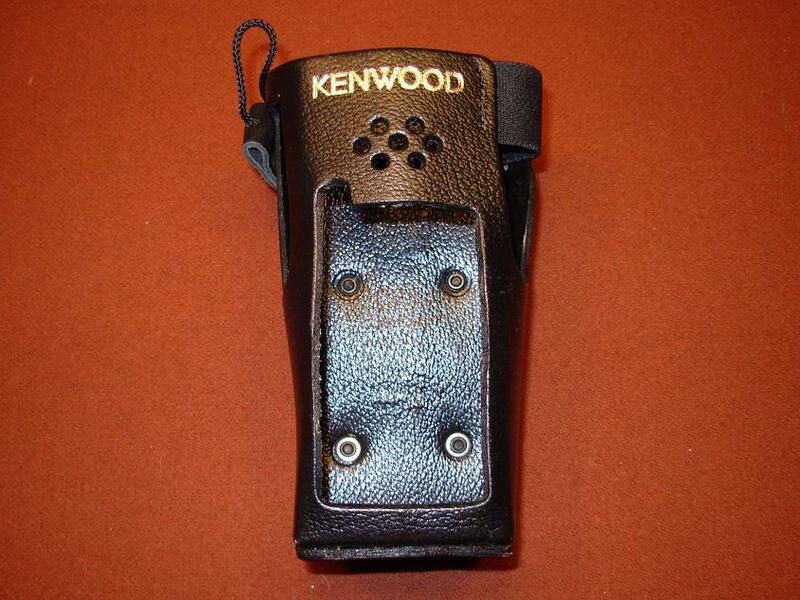 The KLH-6SW has a D-ring back and allows the radio to be removed from the users belt by swiveling the KLH-154K2 to remove the radio. This accessory is made in the USA! 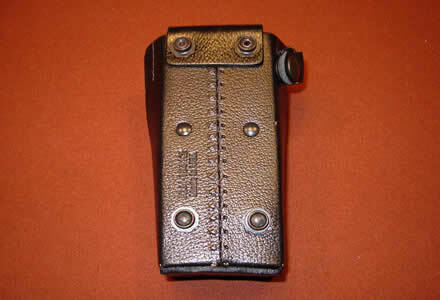 The KCT-30 is a 2.5mm receive adapter for use with the NX411. 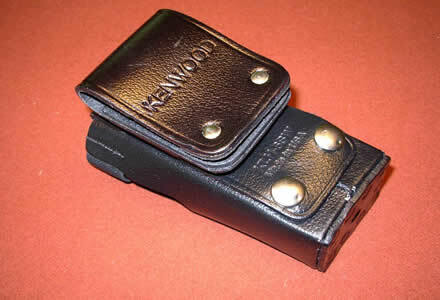 This attachment connects to the side programming port of the radio and allows receive only functionality the radio- to be used with the KEP-3K and KEP-4K Kenwood Earphone Kits. The KBP-6 is an AA refillable battery case/pack that holds 6 AA alkaline batteries. This pack is a fashionable and stylish orange color. It is not for use with NiCd AA batteries and is to be loaded with alkaline batteries only. The KVC-15 is vehicle quick charger adapter for the KSC-32 Charger. The KVC-18 is a DC quick charger for vehicles. This charger is to be used ONLY with NiCd and NiMH batteries and is NOT to be used with Li-Ion or Li Polymer batteries. The KVC-20 is a DC quick charger for vehicles. This charger is to be used ONLY with Li-Ion or Li Polymer batteries and is NOT to be used with NiCd and NiMH batteries. KNB-49PL- 4500 mAh Li Battery Pack- SINGLE use only, not rechargable!